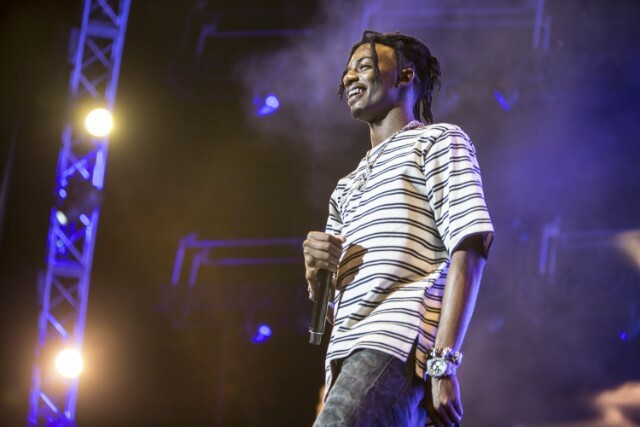 Playboi Carti has been found guilty of assault and criminal damage in a case involving a tour bus in Gretna, Scotland this past February. As the BBC reports, the rapper was fined £800 following a trial at Dumfries Justice of the Peace Court. Carti (born Jordan Carter) denied the assault, but admitted to causing damage to the luxury coach bus in question. The lawsuit stems from an incident that occurred on his 2018 European tour. The rapper and his crew hired a £30,000 double-decker bus for the three-week tour, which broke down on February 25. While waiting for a replacement vehicle to arrive, Carter allegedly “punched” the driver, according to a witness. Two representatives from Carter’s camp said that he acted in self-defense, and that the bus driver was “angry and agitated,” according to the BBC. Spin has reached out to Carter’s team for more details.